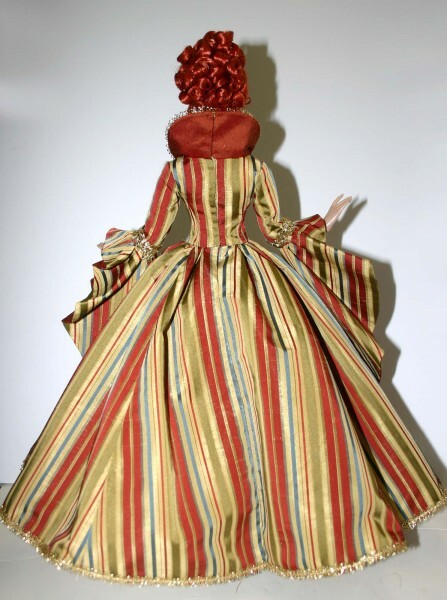 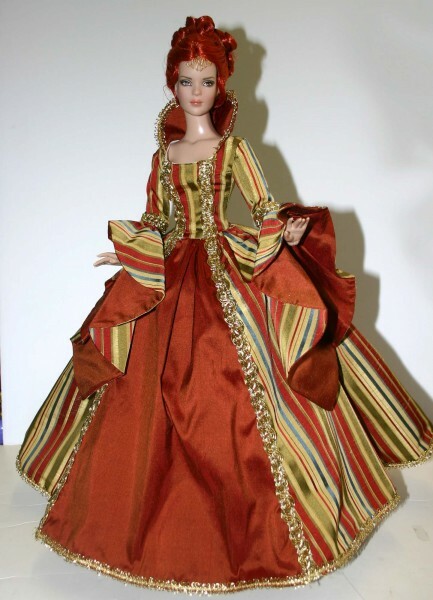 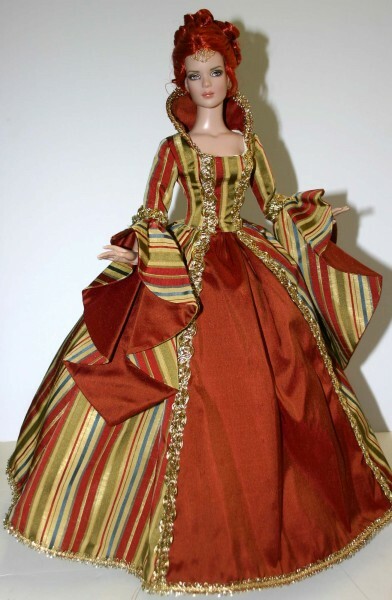 Up for your consideration is Enchanted, a pattern designed to fit 16" Tyler Wentworth Fashion dolls. 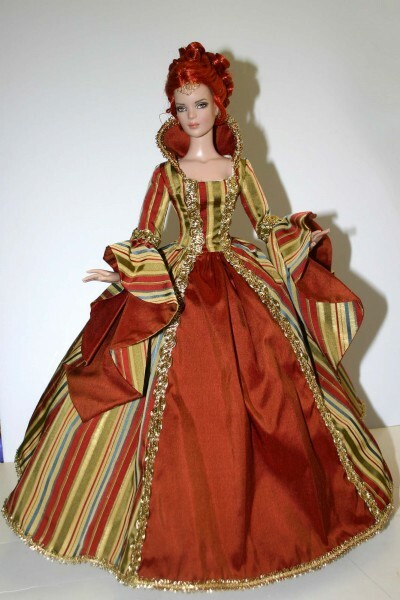 The pattern features a floor length court inspired gown with cascading sleeves and fully lined bodice with stand up collar and full floor length skirt. 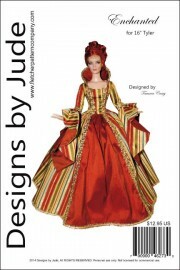 This design is currently available for Deja Vu, Evangeline, Ellowyne and other size fashion dolls. 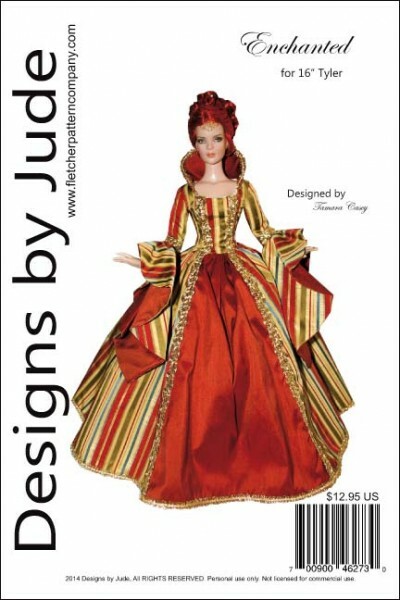 The PDF version prints on A4 and 8 1/2 x14 legal size paper.